Some women do not have visible signs of varicose veins, but can still experience hot, itchy, throbbing, and achiness in their legs. These symptoms usually become worse after standing or sitting for long periods of time. According to the Mayo Clinic, the following factors can increase your risk of developing varicose veins. Age: As you age, so do your veins. The normal wear and tear of aging can impact the valves in your veins that pushes the blood towards the heart. Gender: Women are more likely to experience varicose veins because of hormonal chances. Female hormones are more likely to weaken vein walls and cause issues like varicose veins. Family History: If you have family members with varicose veins, you’re chances of developing them increase. Although there are many more invasive treatments being used by healthcare providers, there are still many natural home remedies that can be used to treat varicose veins if you are looking for a more natural approach. 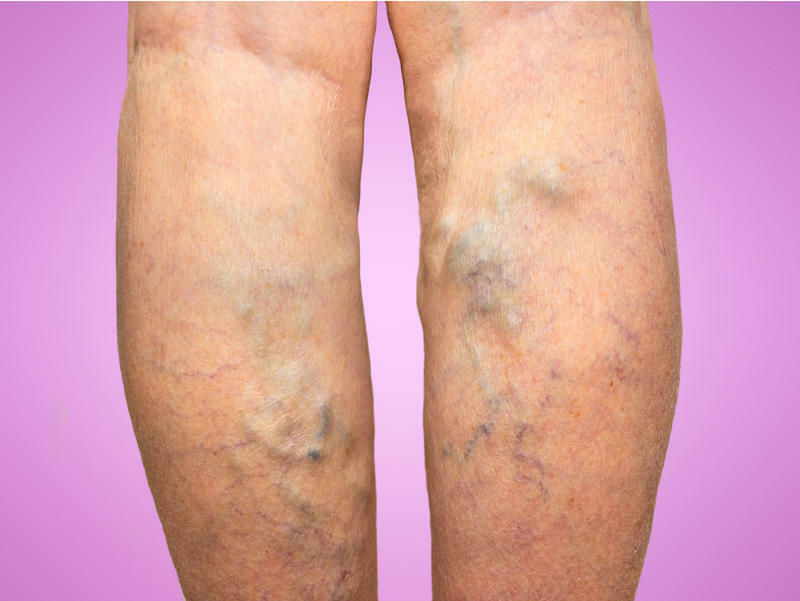 Medical News Today recommends the following natural home remedies to help treat your varicose veins. Exercise - Swimming, hiking, walking, and yoga are all great ways to prevent and treat varicose veins. Essential Oils - Research has shown that Horse Chestnut Oil or Aesculus hippocastanum L. can help to relieve varicose vein pain. Another study cited Sea Pine extract and Butcher's Broom extract call help relieve leg pain and edema which is often associated with varicose veins. Additionally, The Natural Institute of Health cites grape seed as being useful in reducing swelling that can occur with varicose veins. While there is no sure fire way to eliminate varicose veins or prevent them from developing, taking a more natural approach to prevention and treatment can lead to satisfying results for those experiencing varicose veins.